The art of tattoos goes back hundreds, if not thousands, of years and today they are more popular than ever, but how many people really know the story behind tattoos? 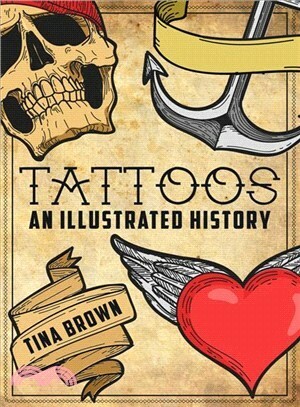 With a fascination for the Victorian tattoo craze, and the way the story behind these manmade marks have evolved over the years, Tina Brown guides you through the fascinating, sometimes surprising, story that led to their current popularity. A global adventure spanning hundreds of years, this lavishly illustrated guide is sure to delight anyone with an interest in the history behind the art. Tina Brown is the author of Gin: An Illustrated History. She also tutors evening classes on the history of gin, tattoos and other various specialist history topics.